2 Bedroom Flat To Rent in Bristol for £1,250 per Calendar Month. 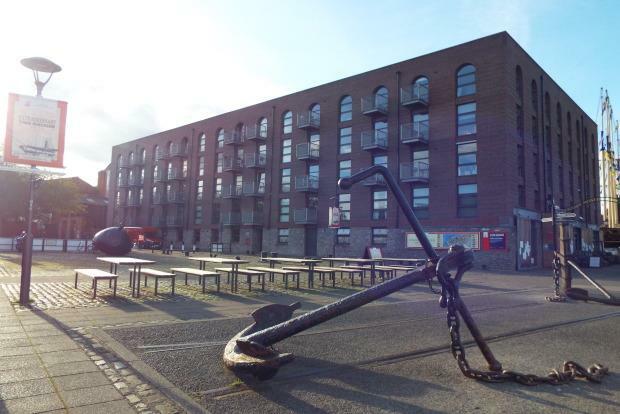 This stylish and contemporary two bedroom apartment has a great location next to the SS Great Britain on Bristol's Floating Harbour. Steamship House is a popular choice among professional tenants, and the cross-harbour ferry service that runs from a nearby jetty makes a short and enjoyable journey to Bristol City Centre, where a huge choice of shopping and leisure facilities, bars and eateries are within easy reach. The apartment is situated on the third floor of the building and accessible by lift via a light central atrium. The living accommodation includes an entrance hallway with ample sized storage cupboard, a double bedroom with built-in wardrobe and an ensuite shower room, an additional double bedroom plus an attractively tiled modern bathroom with shower over the bath and a heated chrome-effect towel rail. The open plan living area has aa view across to the SS Great Britain and the kitchen area is fitted in contemporary style with black gloss units and low-level ambient lighting, and equipped with oven, hob and hood, integrated washing machine and fridge/freezer. The property also comes with the benefits of electric underfloor heating and double glazing. The apartment is available to rent on an unfurnished basis and comes with an allocated parking space in the secure carpark. Don't miss out on the opportunity to rent this lovely home - for more information or to arrange a viewing, please call the Chappell & Matthews office.